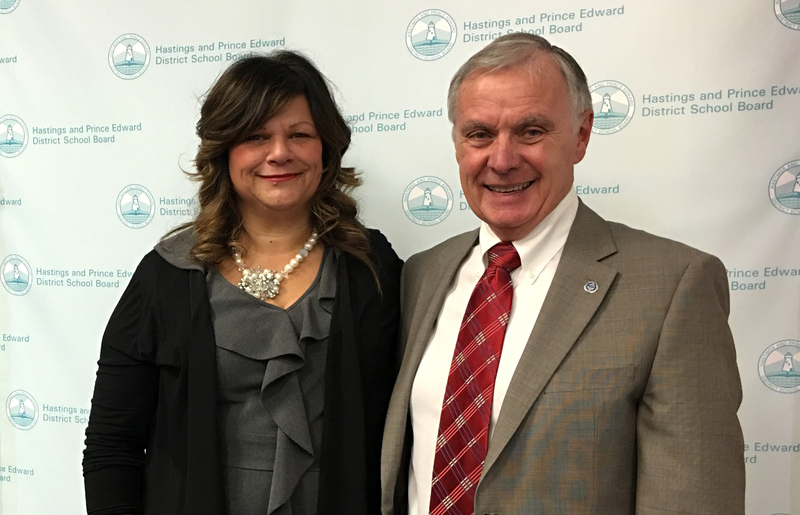 December 4, 2017—The chair and vice-chair have been re-elected for Hastings and Prince Edward District School Board. At its annual meeting on December 4, 2017, the Board of Trustees re-elected Lucille Kyle as Chair of the Board and re-elected Dave Patterson as Vice-chair of the Board. Congratulations to Lucille Kyle, re-elected to Chair of the Board and Dave Patterson, re-elected to Vice-chair of the Board, effective December 2017 for one year. Kyle expressed appreciation for being elected and looked forward to the future. “I appreciate every one of my colleagues and will work together with them. Last year was about teamwork. Thank you for re-electing me. I know that by working together we will have a good year ahead,” stated Kyle. Kyle was first elected as trustee in the fall of 2010 then re-elected in the October 2014 municipal election. She was elected as vice-chair of the Board in December 2014 and then re-elected to that same role in December 2015. She was first elected as chair in December 2016. Patterson acknowledged the important role of trustees in public education. “I am humbled by my colleagues, thank you. It is a pleasure to serve as vice-chair and a wonderful learning experience. We discover new strengths each time we meet. It is a privilege to take this role for the next year,” stated Patterson. Patterson was first elected as trustee in the fall of 2010 then re-elected in the October 2014 municipal election. He was elected as vice-chair of the Board in December 2012 and re-elected to that same role in December 2013 and December 2016. Kyle and Patterson begin their duties immediately and will serve through to the end of November 2018. Hastings and Prince Edward District School Board serves approximately 15,000 students each day at 35 elementary and 8 secondary schools. Supporting student achievement and well-being is the goal of approximately 1,,650 teaching and support staff who, in addition to the contributions of caring volunteers and community partners, share their passion for learning and leading. Bring Back Play – Active play is shown to improve a child’s motor function, creativity, decision-making, problem-solving and social skills. Help Bring Back Winter Play by getting outside for at least 60 minutes of active fun each day. Critical Thinking – Students who are effective critical thinkers use multiple processes and skills to solve problems by making connections and reflecting on the different possibilities. Learn more about what critical thinking is and what it looks like. Indigenous Family Literacy Circle – Come Walk in My Moccasins project. Sign up to receive emails about Indigenous culture, recommended children’s picture books, language videos, recipes, events and additional resource links. Virtual Learning – Did you know that all HPEDSB students have access to a Virtual Learning Environment (VLE)? The VLE is a collection of online tools to support learning. You can access the VLE located on the board website or on your child’s school website. December 5, 2017—The final round of voting on the name for the consolidated Belleville secondary school is underway. Members of the public are invited to vote on a final choice for the name of the school that will bring together students from Moira Secondary School and Quinte Secondary School in September 2018. This shortlist was chosen by the Integration Committee after reviewing the initial public input. Over 200 people submitted 314 names for consideration. Voting closes Tuesday, December 12, 2017 at midnight. The Integration Committee will review the public input on Wednesday, December 13, 2017 to determine a final name. It will be presented to the Board of Trustees for a decision on Monday, January 8, 2018. To learn more about the Belleville secondary school consolidations, please view the Connections newsletter. December 4, 2017—This update provides a summary of the Annual Meeting of Hastings and Prince Edward District School Board held Monday, December 4, 2017 at the Education Centre. It is an unofficial summary of the meeting; official minutes will be approved at the next meeting in January 2018. Mandy Savery-Whiteway, Director of Education reviewed the process for elections as described in Board Policy No. 2: Governance By-laws and Standing Rules, and also reviewed the committees as described in Board Policy No. 11: Committees of the Board. Superintendents Laina Andrews and Nick Pfeiffer were appointed as scrutineers for the chair and vice-chair elections. Lucille Kyle, North Hastings trustee, was re-elected as Chair of the Board. Dave Patterson, Belleville/Thurlow trustee, was re-elected as Vice-chair of the Board. Program and Human Resources Committee: Mike Brant, Justin Bray, Jennifer Cobb, Bonnie Danes, Mary Hall, Lucille Kyle, Dave Patterson and Jim Williams. Student trustees Morgan Beatty and Meera Moorthy are also members. The Chair will be Jim Williams. The Vice-chair will be Mary Hall. Operations and Finance Committee: Tom Biniaris, Mike Brant, Justin Bray, Bonnie Danes, Mary Hall, Dwayne Inch, Lucille Kyle and Dave Patterson. Student trustees Morgan Beatty and Meera Moorthy are also members. The Chair will be Bonnie Danes. The Vice-chair will be Justin Bray. Representative to the Board of Directors for the Ontario Public School Boards’ Association: Dave Patterson will be the representative to the Board of Directors for the Ontario Public School Boards’ Association (OPSBA). Mary Hall will be the alternate. Executive Committee: Consists of the Chair, Vice-chair, above-noted standing committee chairs and the OPSBA representative, plus one additional member. Dwayne Inch will be included as past-Chair. Mary Hall will be the elected sixth member. Budget Committee: Consists of all Board members. Student Enrolment/School Capacity Committee: Consists of all Board members. The Chair will be Jennifer Cobb. The Vice-chair will be Justin Bray. Special Education Advisory Committee (SEAC): Justin Bray and Dave Patterson. The two alternate members will be Tom Biniaris and Mary Hall. Supervised Alternative Learning (SAL) Committee: Mike Brant and Jim Williams. Lucille Kyle will be the alternate. Audit Committee: Jennifer Cobb, Bonnie Danes and Dave Patterson. Accessibility Committee: Mary Hall. Jim Williams will be the alternate. Parent Involvement Committee: Mary Hall. Dave Patterson will be the alternate. Equity and Inclusivity Advisory Committee: Mike Brant and Lucille Kyle. Great Place Awards Committee: Mike Brant and Jim Williams. Instructional Technology Advisory Committee: Dwayne Inch. Tom Biniaris as the alternate. Leadership Development Steering Committee: Lucille Kyle and Dave Patterson. Mary Hall as the alternate. Safe Schools Advisory Committee: Justin Bray. Jennifer Cobb as the alternate. Specialist High Skills Major Advisory Committee: Dwayne Inch. 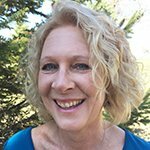 Mental Health Leadership Team: Jennifer Cobb. Lucille Kyle as the alternate. Food for Learning Partnership: Lucille Kyle. Board members approved the appointment of two external members to the Audit Committee: Liping Kong and Wayne Tod. Thursday, December 14: Special Education Advisory Committee, 5:00 p.m.
Monday, January 22, 2018: Public Board Meeting, 7:00 p.m.
Thursday, January 25, 2018: Special Education Advisory Committee, 5:00 p.m.
November 23, 2017—Attendance boundary and school organization/program changes related to the accommodation review processes have now been determined. Families of students who attend Belleville/area schools received letters of explanation. November 22, 2017—Attendance boundary and school organization/program changes have been determined for some Belleville schools for the 2018-2019 school year. Most of the affected schools were part of a recent accommodation review that concluded in June. Schools, students and families need this information to plan for the next school year. “Many people have been anxiously awaiting the new attendance boundaries. Staff have been working diligently to analyze the existing boundaries, review school space requirements and projected enrolment in Belleville,” said Mandy Savery-Whiteway, Director of Education. The changes described below align with recommendations approved by the Board of Trustees in June. Approximately 200 Quinte Secondary School students will attend Centennial Secondary School. Approximately 390 Quinte Secondary School students will attend the Belleville consolidated secondary school (currently known as Moira Secondary School) at the existing Moira Secondary School site. As per the recommendation, Moira Secondary School will be rebranded with a new name, logo, mascot and colours. The attendance boundary for Susanna Moodie Elementary School will change to include students who live north of Bridge Street in Belleville and who are currently in the Sir John A. Macdonald School attendance boundary. As per the June 2017 recommendation, families with children currently registered at Sir John A. Macdonald School will not be impacted by attendance boundary changes. 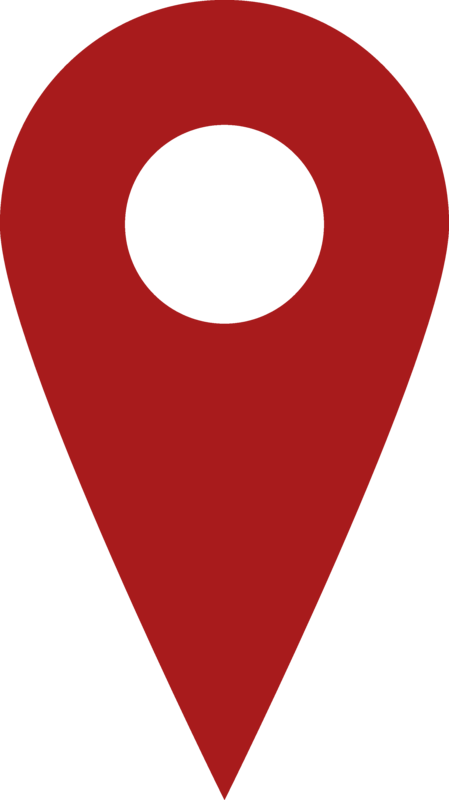 The Harry J. Clarke Public School Destinations Programme, currently located at Moira Secondary School, will be relocated to Queen Victoria School and Susanna Moodie Elementary School. The new Queen Victoria School Destinations Programme and the new Susanna Moodie Elementary School Destinations Programme will welcome Grade 7 and 8 students. Grade 7 and 8 students from Prince Charles School (Belleville) will attend Centennial Secondary School and Prince Charles will be a JK-6 school. Parents of schools affected by these changes will receive communications this week. Quinte Adult Education, currently located at Quinte Secondary School, will move to the William R. Kirk building for September 2018. The QSS Child Care Centre, a valued community partner, currently located at Quinte Secondary School, will relocate to a new location. Staff are in discussions with the QSS Child Care Centre and have indicated that space will be available in HPEDSB schools. The SHAPE (South Hastings Alternative Personalized Education) program for current Centennial, Moira and Quinte students will continue to be located at the William R. Kirk building for September 2018. “We know there is a lot of work ahead as we continue to shape the future of HPEDSB and public education in the communities we serve. This is an exciting time at HPEDSB as we focus on our vision of All students prepared and empowered for the possibilities of today and tomorrow,” added Savery-Whiteway. November 20, 2017 — This update provides a summary of the public meeting of Hastings and Prince Edward District School Board held Monday, November 20, 2017 at the Education Centre. It is an unofficial summary of the meeting; official minutes will be approved at the next regular meeting in January 2018. This evening Lucille Kyle, Chair of the Board, asked all to reflect on caring: We demonstrate concern for self and others. We show empathy and express genuine concerns. We consider the long term effect of our actions. Superintendent of Education Colleen DeMille spoke about Trent River Public School which opened in the spring of 2017. The school has visual demonstrations of student learning and well-being. Staff recognize the importance of students becoming globally minded learners and leaders. DeMille introduced Principal Bill Launderville, Teacher Kathryn Acorn, and Students Levi and Kendra. They described student learning to deconstruct the meaning of the 10 competencies that make up the Globally Minded Learners and Leaders. According to Kendra and Levi, learning about the global competencies prepares students for the future. The students described how they collaborate to solve problems and think critically to reach a common goal. To achieve success criteria for being entrepreneurial and digitally fluent, the students learned to work together and to value each other’s ideas. Now they are working with other classes, such as Grade 2 buddies, to teach the younger students about the competencies. Students Kendra and Levi, and their teacher Kathryn Acorn (centre, behind the students) shared their learning and sharing of the 10 global competencies at the public Board meeting on November 20, 2017. Board members approved the Consolidated Financial Statements for the year ending August 31, 2017. The Consolidated Financial Statements reflect the board’s financial results for the 2016-2017 fiscal year. During the year the board expended $21,650,252 on capital asset acquisition/construction. These expenditures are funded through a variety of sources including capital priorities, school condition improvement and school renewal grants. The audited financial statements resulted in an in-year surplus of $2,054,373 and a corresponding in-year surplus for Ministry of Education compliance reporting purposes of $152,013. The original budget plan was forecast to have a deficit of $360,137. The board is on a Multi-Year Financial Recovery Plan with the Ministry of Education. The board has met or exceeded its targets under the Multi-Year Financial Recovery Plan for the 2016-2017 year. The surplus is due to a decrease in projected transportation expenses, as well as a decrease in projected actuarial liabilities and a decrease in projected costs associated with supplies and services. Trustee membership on committees will be determined at the annual Board meeting on Monday, December 4, 2017. To facilitate this process, trustees were asked to indicate their 2017-2018 committee preferences in advance of that meeting. A number of district and school events (Pdf) are scheduled for December 2017. December 6: Original production called Pink or Blue by Prince Edward Collegiate Institute students. Performances will take place at The Core in Belleville in the morning and St. Andrew’s Church in Picton in the afternoon. Thursday, November 23: Special Education Advisory Committee, 5:00 p.m.
Thursday, November 23: Parent Involvement Committee, 6:00 p.m.
Monday, December 4: Annual Meeting of the Board, 7:00 p.m. The third week of November is recognized as Bullying Awareness and Prevention Week in Ontario. This year it is November 20 – 24, 2017. It is a time for students, employees, parents/guardians and community to learn more about bullying and its effect on student achievement and well-being. The Well-Being priority in the 2015-2020 Strategic Plan includes the goal to create welcoming, inclusive, safe and accepting learning environments that optimize students’ potential. Our award-winning Say and Do Nice Things campaign, being launched this week, is a simple way to show kindness and care to others through welcoming behaviours, such as smiling, saying ‘hi’ and asking how things are going outside school/work. The Ministry of Education is currently developing shared vision of how to best support the well-being of all students, in collaboration with parents, students, educators and administrators, counsellors, social workers, and community partners across the province. Consultation is underway now through the Ministry’s Well-Being Strategy. “Children and students who have strong relationships and a positive sense of self are in a better position to reach their full potential. As we continue to strive for excellence in our education system, we know it is essential to support all of our students to have a positive sense of well-being – the sense of self, identity, and belonging in the world that will help them to learn, grow and thrive.” – Ministry of Education, Well-Being Strategy for Education. 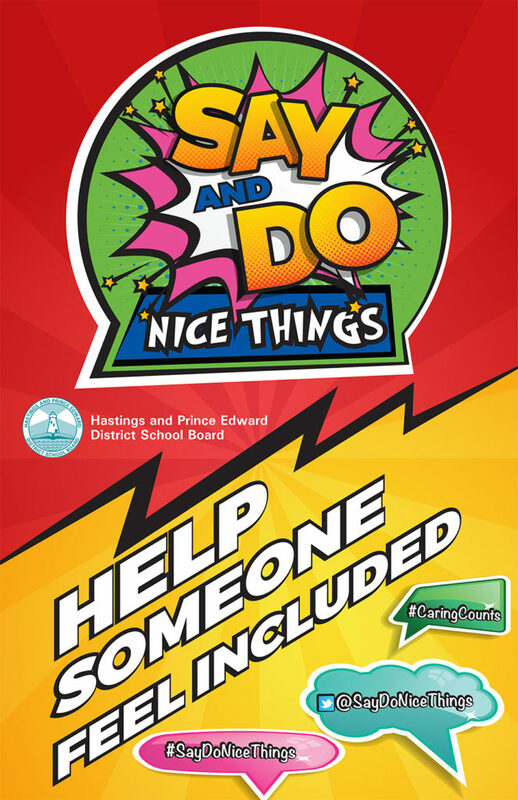 Say and Do Nice Things is a way for positive comments or stories to be shared at schools, the Education Centre and through families and communities. Please join us across Hastings and Prince Edward District School Board in creating welcoming, inclusive, safe and accepting learning environments. Say and Do Nice Things during Bullying Prevention and Awareness Week and every day! November 3, 2017 — November 6-10, 2017 is recognized as Treaties Recognition Week in Ontario. It is a time to reflect on the provincial commitment to work with Indigenous partners, and to promote public awareness about treaties and treaty relationships. The 2015-2020 Strategic Plan identifies Achieving Excellence & Equity, Learning & Leadership, Public Confidence and Well-Being as priorities. At HPEDSB, schools are integrating Indigenous traditions, histories and perspectives into teaching and learning in order to increase knowledge and awareness among all students and employees. Please join in recognizing Treaties Recognition Week. October 30, 2017 — The CONNECTIONS newsletter is your source for updates about consolidating Centennial, Moira and Quinte secondary schools. Hastings and Prince Edward District School Board is reaching out to the community for suggestions on a name for the consolidated secondary school. Round 1 of community input is now closed. The final round of voting on the name for the consolidated Belleville secondary school is underway. December 13, 2017—Public input on the shortlist of names is now closed. Public input closes Tuesday, December 12, 2017 at midnight. October 27, 2017—Hastings and Prince Edward District School Board is reaching out to the community for suggestions on a name for the consolidated secondary school. Members of the public are invited to submit name suggestions for the school that will bring together students from Moira Secondary School and Quinte Secondary School in September 2018. Both Moira and Quinte will close next June and students from the two schools will come together at the existing Moira site in September. Some Quinte students will transfer to Centennial Secondary School. Link to a paper version of the form (Pdf). “We value the role our communities play in the education of students and look forward to everyone’s input on naming this school. It is one of the many steps toward creating exciting new opportunities for our students,” said Mandy Savery-Whiteway, Director of Education. The positive integration of students and employees into the new school environment is guided in part by the Integration Committee, which includes students, employees, parents/guardians and community members. The committee provides input on the school name, colours, mascot and school transition activities, including honouring and incorporating artifacts and other memorabilia from each of the schools. names in conformity with official designations. Submissions should avoid the duplication of names of schools within Hastings and Prince Edward District School Board and should not use the use of names of present Board members and employees. The name will be presented to the Board of Trustees for consideration in January 2018. The deadline for submissions is Wednesday, November 15, 2017. All entries will be reviewed by the Integration Committee which will shortlist submissions then resubmit those suggestions for additional public input. While the selection process will not be based on a vote, the committee would like to be able to report which options drew broadest support. Literacy Based Play – Studies show that children involved in rich complex pretend play, tend to use more advanced language and higher levels of narrative structure than they do in other play situations. Parent Tip: Encourage your child to tell and re-enact stories during play. What is it that pulled you into this book? What are you thinking as you read this book? You seem to be really enjoying this book. What makes it good? How do you feel about the writing? Talk Moves – Accountable talk is talk that responds to and builds on what others have said. It is a focused, collaborative and supports developing voice and identity in the learning. View ideas for adolescent learners and key messages for parents. October 23, 2017 — This update provides a summary of the public meeting of Hastings and Prince Edward District School Board held Monday, October 23, 2017 at the Education Centre. It is an unofficial summary of the meeting; official minutes will be approved at the next meeting in November 2017. This evening Meera Moorthy, Student Trustee, Moira Secondary School, asked all to reflect on trustworthiness: We can be counted on to do what is right. We instill confidence in one another through our actions. When we consider the Strategic Plan: Possibilities Today and Tomorrow, and the four priorities of Achieving Excellence and Equity, Learning and Leadership, Public Confidence and Well-Being, we are reminded that they all point to supporting the most precious of people in our system—students. They are always the focus in working toward our organizational goals. 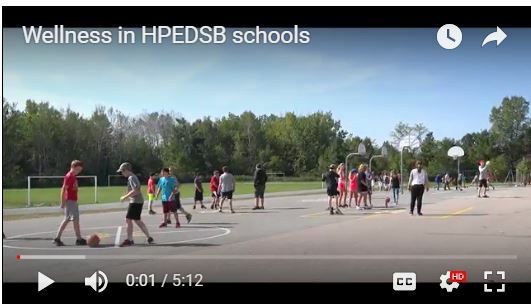 This video highlighted what well-being looks like in Hastings and Prince Edward District School Board from student and employee perspectives. Thank you to the students and employees who are featured, and to the production team Laina Andrews, Superintendent of Education; Kerry Donnell, Communications Officer; and Sherry Rivers, Web Designer. A number of district and school events (Pdf) are scheduled for the remainder of October and November 2017. Thursday, October 26: Special Education Advisory Committee, 5:00 p.m.
Monday, November 6: Executive Committee, 11:00 a.m.
Wednesday, November 8: Audit Committee, 3:30 p.m.
Monday, November 13: Student Enrolment/School Capacity, 3:30 p.m.
Monday, November 13: Program and Human Resources Committee, 5:30 p.m.
Monday, November 13: Operations and Finance Committee, 7:00 p.m.
Monday, November 20: Public Board Meeting, Trent River Public School, 7:00 p.m.
October 23, 2017—Wednesday, October 25, 2017, is recognized as Child Care Worker & Early Childhood Educator Appreciation Day in Ontario. It is a time to celebrate the skills and commitment of employees who engage with our young learners. The vision in the 2015-2020 Strategic Plan is “All students prepared and empowered for the possibilities of today and tomorrow.” Engaging with our youngest students in caring, meaningful ways helps to create welcoming, inclusive, safe and accepting learning environments that optimize their potential (Well-Being priority). At HPEDSB, early childhood educators work in partnership with classroom teachers, contributing to students’ social, intellectual, emotional and physical development. Students, families and communities benefit from the caring actions and dedication of our early childhood educators. Their commitment to the achievement and well-being of our youngest learners is truly valued! Please join in celebrating early childhood educators this Wednesday, October 25, 2017. October 17, 2017—On the third Wednesday of October, Hastings and Prince Edward District School Board is proud to recognize Educational Assistant Appreciation Day. This year it falls on Wednesday, October 18, 2017. The work of educational assistants connects directly to the 2015-2020 Strategic Plan and Growing with Character, specifically through the priorities of Achieving Excellence & Equity; Learning & Leadership and Well-Being. The commitment of educational assistants to the vision of All students prepared and empowered for the possibilities of today and tomorrow that students have access to the supports they need to be successful. Each day, educational assistants interact with students who have a wide range of abilities. Educational assistants demonstrate skill, caring, compassion and patience to ensure equity and to help prepare students for their futures. They play a significant role in supporting student achievement and well-being. Educational assistants are dedicated professionals who work in diverse roles and settings. On Wednesday, October 18, 2017, please join in recognizing the dedicated educational assistants at HPEDSB. October 16, 2017—October 16 -20, 2017 is recognized as School Bus Safety Week in Ontario. It is an opportunity for everyone who rides a school bus, or knows someone who rides a school bus, to highlight the importance of school bus safety. In Ontario, more than 800,000 students are transported by bus each school day. Locally, professionals at our busing partner, Tri-Board Student Transportation Services Inc. work with 32 caring and responsible bus operators and drivers. Each day 9,822 HPEDSB students are transported 21,098 kilometres/day on 262 bus routes. Everyone has a role to play in promoting healthy relationships and fostering a school climate which encourages positive student behaviours. In the 2015-2020 Strategic Plan, the goals to create welcoming, inclusive and safe learning environments that optimize students’ potential (Well-Being priority) and to ensure effective management of all resources (Public Confidence priority) demonstrate the HPEDSB commitment to student safety and well-being. Please join in recognizing School Bus Safety Week! October 16, 2017—The week of October 16 – 20, 2017 is recognized as Local Government Week in Ontario. It is a time to increase youth and public awareness about the important role local government plays in our communities. School board trustees are elected through municipal elections every four years. They are responsible for governing the publicly-funded schools within their jurisdiction, and for overseeing the delivery and quality of educational programs and services. At HPEDSB, two student trustees are elected each year by the Student Senate to serve a one-year term on the Board. They participate in public Board meetings, represent student opinions at the Board table and participate on committees. Through student involvement in this way, elected school board trustees become aware of student issues and opinions. Trustees provide overall direction for the 2015-2020 Strategic Plan: Possibilities Today & Tomorrow by establishing the vision, mission and priorities. Through their leadership, HPEDSB creates dynamic, inclusive educational experiences that develops capable, confident, curious learners who thrive and contribute to their communities. Please join in recognizing Local Government Week. Numbers Talk – Children struggle because they have little or no understanding of the relationships of numbers. Talking numbers help students develop confidence in working with flexibility, exploration of mathematical concepts and connections between numbers. Number Talks help children by sharing their own methods, making meaning out of numbers and choosing efficient strategies. October 11, 2017—HPEDSB is seeking one community member to serve on the Audit Committee for a 3-year term, effective December 4, 2017. The primary role of the Audit Committee is to assist the Board of Trustees in fulfilling duties related to governance and oversight. More details, including eligibility and responsibilities can be found in the Audit Committee member posting (Pdf). The deadline to submit is Wednesday, October 25, 2017 at 4:30 p.m.
to create welcoming, inclusive, safe and accepting learning environments that optimize students’ potential (Well-Being priority). Locally, HPEDSB works closely with children/family service organizations, health care, police services and others to help keep students safe. Highland Shores Children’s Aid (HSCA) is one of our key partners. This year HSCA is promoting Dress Purple Day on Tuesday, October 24 to help raise awareness about speaking up and breaking the silence that often surrounds child abuse. Please join in recognizing this important topic throughout October and by wearing purple on October 24, 2017. October 2, 2017 — Every day at Hastings and Prince Edward District School Board, our highly skilled, dedicated and caring teachers provide dynamic inclusive educational experiences for students in order to achieve our vision of all students prepared and empowered for the possibilities of today and tomorrow. Teachers at HPEDSB create welcoming, inclusive learning environments that optimize students’ potential through excellent programming and instruction. Achieving Excellence & Equity, Learning & Leadership, Public Confidence and Well-Being are priorities in the 2015-2020 Strategic Plan. The teaching profession is celebrated around the world through World Teachers’ Day on October 5 each year. This day of recognition began in 1994 through UNESCO, the United Nations Educational, Scientific and Cultural Organization. Nationally, the Canadian Teachers’ Federation promotes World Teachers’ Day through a public awareness campaign that highlights the contributions of the teaching profession. This year’s theme is Addressing Violence, Building Respect.. Please join in recognizing World Teachers’ Day on Thursday, October 5. September 28, 2017 — Achieving Excellence & Equity, Learning & Leadership, Public Confidence and Well-Being are priorities in the 2015-2020 Strategic Plan, supported through Growing with Character. Custodians, as important members of our school communities, help to create welcoming, inclusive and safe learning and working environments. They connect with community members and families on a regular basis. Monday, October 2, 2017 is recognized as National Custodial Workers’ Day. It is a day to celebrate custodians and the many ways custodians support our schools, contributing to student achievement and well-being. We rely on our custodians every day, truly appreciating their commitment and hard work. We are fortunate to have such dedicated and caring professionals as part of the HPEDSB team! Please join in celebrating National Custodial Workers’ Day on Monday, October 2, 2017. September 26, 2017 — At Hastings and Prince Edward District School Board our vision is All students prepared and empowered for the possibilities of today and tomorrow. Our focus on ALL students is reflected in our priority of Achieving Excellence & Equity. In addition, Creating welcoming, inclusive, safe and accepting learning environments is a Well-Being goal in the 2015-2020 Strategic Plan. Being mindful of events or actions is a way to contribute to this. Across Canada, September 30 is recognized as Orange Shirt Day. It is a time to acknowledge people who attended residential schools. Participating indicates our collective spirit of reconciliation and hope for future generations. The date was chosen because it is the time of year when children were taken from their homes and moved to residential schools. Orange Shirt Day: Every Child Matters, is an outcome of the St. Joseph Mission Residential School commemoration event that took place in Williams Lake, B.C. There, residential schools survivor Phyllis Webstad shared how, at the age of six, her new orange shirt was taken away the day she arrived at the Mission school. From that moment on, the color orange represented pain, loss and trauma for Webstad. She was haunted by the color throughout her life. Today, the orange shirt, once associated with loss of belonging and self-worth, is now becoming the symbol of recognition of people who attended residential schools. With time and continued awareness, it is also a step towards reconciliation and a commitment to ensure that every child matters. For this year, Orange Shirt Day will be recognized on Thursday, September 28, 2017, due to the PA Day on Friday, September 29, 2017. Please join in recognizing Orange Shirt Day this Thursday. September 25, 2017 — This update provides a summary of the public meeting of Hastings and Prince Edward District School Board held Monday, September 25, 2017 at the Education Centre. It is an unofficial summary of the meeting; official minutes will be approved at the next meeting in October 2017. Each Board meeting opens with a Character Moment of Reflection. At Hastings and Prince Edward District School Board, Growing with Character is our intentional focus on creating safe, caring, respectful and inclusive learning environments where students develop foundation for good character. Growing with Character is the foundation of the school board strategic plan. Through Growing with Character, we model, teach and expect demonstrations of our eight character traits which are: caring, cooperation, honesty, humour, integrity, respect, responsibility and trustworthiness. This evening Morgan Beatty, Student Trustee, Centennial Secondary School, asked all to reflect on responsibility: We have a sense of duty to fulfill commitments. We take ownership for our own thoughts and actions. We are reliable and accountable in our words and actions. This video highlighted (video) student learning during the first few weeks of the 2017-2018 school year. It featured students from schools throughout Hastings and Prince Edward District School Board. This presentation provided a summary of summer learning initiatives for students and employees. The Summer Learning Program for SK, Grade 1, 2 and 3 students focused on understanding number sense and developing reading skills. Students also learned age-appropriate coding and robotic skills. 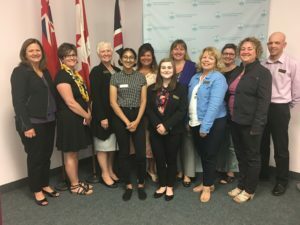 Six sites hosted the program: Earl Prentice Public School, Prince Charles School (Belleville), Prince of Wales Public School, Queen Elizabeth School (Picton) and York River Public School. Summer School for secondary school students was entirely online through eLearning. Students also engaged in the School Within a College program through courses such as: Culinary Techniques, T.V. and New Media, Building Construction and Make-Up Artistry. 429 educators from across the province, including 300 from HPEDSB, participated in the second Google Summit hosted at Bayside Secondary School. They learned how to use Google products to enhance classroom learning. Thank you to Teri Cook, Vice-principal, Stirling Public School; Wendy Goodman, Curriculum Coordinator; Tina Jones, System Principal; Heather McMaster, Early Years Lead; Roger Ramsay, Curriculum Coordinator and Marg Thompson, Student Success Lead. Board members approved the content of the external Audit Plan as per Ontario Regulation 361/10. This is a result of amendments to the regulation related to audit committees. As a result, the Audit Committee is now required to make recommendations to the Board on the content of the external auditor’s audit plan and on all proposed major changes to the plan. Board members appointed BDO LLP as the external auditor for 2016-2017 at a remuneration of $37,800. 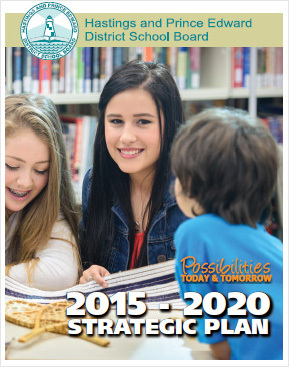 An annual review of the 2015-2020 Strategic Plan (Pdf) has been completed. Progress on the 2017-2018 action plans will be reported through the Annual Report and revisited when the next review process begins in February 2018. Board members approved the Multi-Year Annual Accessibility Plan for the period September 2017 to August 2022. The Accessibility Advisory Committee met in June 2017 to review and update the Multi-Year Annual Accessibility Plan which incorporates plans for the next five-year period. The plan is reviewed annually by the Accessibility Advisory Committee then approved by the Board. The updated plan will be available online by the week of October 2, 2017. A number of district and school events (pdf) are scheduled for the remainder of September and October 2017. Summary of participation at the Canadian School Boards’ Association conference. Brief summary on the topic of human trafficking. We have been engaging with local police services to gain an awareness and understanding. More to come in the future. Review of a Ministry of Education memo about strengthening rural school boards. Update on three administrative reviews related to accommodation reviews. Review of the Accessibility Plan and Strategic Plan. Update on the addition and renovation at Marmora Senior Public School. Update on child care centres at Frankford Public School and Massassaga-Rednersville Public School. Summary of building renewal projects totalling $23.3 million. Two community planning/partnership meetings in late August, one at Centennial Secondary School and one at North Hastings High School. Update on the Strategic Plan and actions for the 2017-2018 school year. Each September elementary and secondary enrolments are collected then compared to projections to determine the impact on teaching staff and school organizations. This is required to address provincial class size guidelines and budget. Elementary enrolment on September 15, 2017 was 10,340 compared to a projection of 10,285, resulting in an increase of 55 students over projection. Overall, elementary enrolment continues to show evidence that it is stabilizing, with a year-over-year increase of 167 students. For secondary, using the data collected on September 15, 2017, the revised average daily enrolment (ADE) was projected for the year as 4,587. The revised projection shows a decrease of 112 ADE over original projections, and a year-over-year decrease of 132 secondary students. The total combined student enrolment at this time is 14,927. Attendance at a Board of Director meeting of the Ontario Public School Boards’ Association, where a guest speak spoke about equity and global leaders. Vice-chair Dave Patterson presented a proposal to the Board that school board initiatives align with municipal initiatives, particularly those relating to retaining and attracting and families in communities. Attendance at the Indigenous Trustee Council, which is an annual planning session through the Ontario Public School Boards’ Association. Three areas of focus were chosen for the upcoming school year: 1) the need for fluent Indigenous language teachers; 2) professional learning about Indigenous learning; and 3) clarity about the role of the steering committee. Attendance at the provincial Indigenous Leads Gathering. Thursday, September 28: Special Education Advisory Committee, 5:00 p.m.
Thursday, September 28: Parent Involvement Committee, 6:00 p.m.
Monday, October 2: Executive Committee, 11:00 a.m.
Tuesday, October 10: Student Enrolment/School Capacity Committee, 3:30 p.m.
Tuesday, October 10: Program and Human Resources Committee, 5:30 p.m.
Tuesday, October 10: Operations and Finance Committee, 7:00 p.m.
Monday, October 23: Board Meeting, 7:00 p.m. Looking at a 10-year continuum of results in the Primary and Junior assessments reinforces that gains are being made in Primary and Junior Reading and Writing. This year, students experienced gains the area of Primary Reading with small declines in Primary Writing and Junior Reading and Writing. 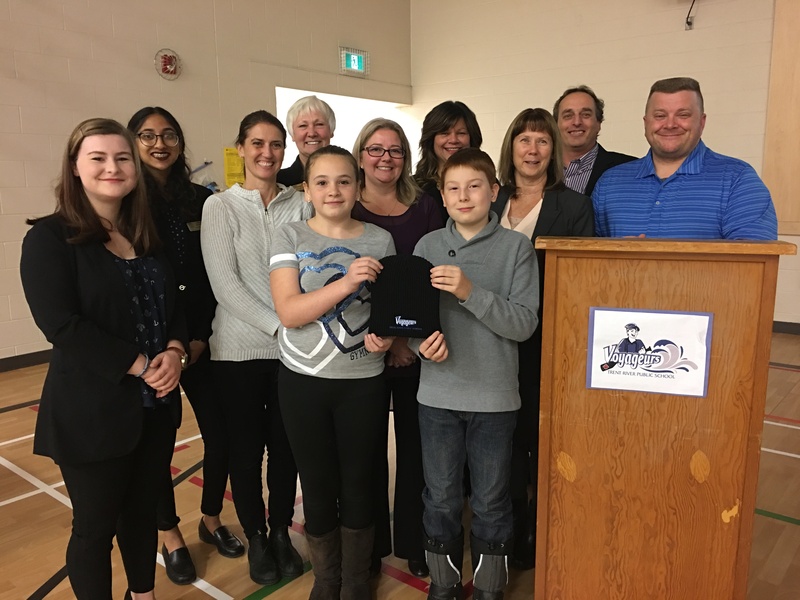 “We believe in our students’ abilities and have confidence in our teachers who are striving to help all students achieve provincial standards in all grades and pathways,” said Cathy Portt, Superintendent of Education. “We are committed to preparing all students for graduation, for their chosen career pathway and for life-long learning. Primary and Junior assessments were written by students in May 2017. They objectively measure student achievement in reading, writing and math in relation to a common provincial standard which is Level 3 or 4. This year HPEDSB students made gains of 3 percentage points in Primary Reading, while continuing to show gains in Reading and Writing over a 10-year period. The EQAO Grade 9 Math assessments are differentiated based on curriculum expectations in Applied and Academic Mathematics courses. They are administered near the end of each semester as a part of the course. Results are reported as the percentage of students achieving at provincial standard, Level 3 or 4, with Semester 1 and 2 results combined for the school year. Overall, the trends demonstrate that HPEDSB students have been holding steady over the past 10 years. The Ontario Secondary School Literacy Test (OSSLT) is administered once a year in the spring in Academic, Applied and Locally Developed English courses. All Grade 10 students are eligible to write it. Successful completion of the OSSLT is a graduation requirement. The OSSLT is the only assessment in which students who are eligible to write it can be deferred to a later time. An increased percentage of HPEDSB students participated in the assessment in their Grade 10 year, as deferral rates decreased from 15% in 2011 to 4% in 2017. Results of students taking Academic English have remained strong over time. Results for students taking Applied or Locally Developed English indicate ongoing needs in literacy. EQAO assessments are one type of assessment data used to inform planning at the school and Board levels. Ongoing classroom assessments and report card results in literacy and mathematics are also taken into consideration to present a more complete picture of student achievement. A continued focus on literacy, building on the successes in elementary grades, is required to ensure that students meet literacy graduation requirements. This will help to ensure that students are well-prepared for today and their future careers. The continued focus required in mathematics to address achievement gaps is a priority locally and provincially. This update provides a summary of the special public meeting of Hastings and Prince Edward District School Board held Monday, September 11, 2017 at the Education Centre. It is an unofficial summary of the meeting; official minutes will be approved at the next meeting later in September 2017. Board members approved a tender to Kiley Paving Ltd. in the amount of $338,621. Trent River Public School is adjacent to a proposed townhouse development. The entrance to the school site from Dixon Drive was purchased by HPEDSB from the townhouse developer and was included in the site plan for the townhouse development. The entrance runs through the proposed townhouse development property. When construction of the new school was planned, the townhouse development was to be completed in advance of construction. That did not occur and the site plan control agreement for the new school included the provision that the board would be responsible for completing certain off-site works related to the access route in the event that the development did not proceed. The development property has since gone into receivership and been purchased by another party. To our knowledge, there are no plans for development at this time. Engineering consultant McIntosh Perry prepared the scope of work and drawings for the off-site works required by the City of Quinte West, with an estimated cost of $170,000. The Ministry has allocated an additional $450,000 of capital funding to the board for the construction of Trent River Public School in order to complete this off-site work. The work includes site preparations, site works (road structure, sidewalk, topsoil/sod, curbing, line painting), services (storm sewer, storm catch basins, storm manholes, inspections) and asphalt pathway. It is anticipated the work will begin in late September 2017. All meetings take place at the Education Centre and are public unless otherwise noted. Wednesday, September 20, 2017: Audit Committee, 3:30 p.m.
Monday, September 25, 2017: Public Board Meeting, 7:00 p.m.
Thursday, September 28, 2017: Special Education Advisory Committee, 5:00 p.m.
September 11, 2017 — The 2015-2020 Strategic Plan identifies Public Confidence as a priority ensuring effective management of all resources (i.e., human, financial and environmental). This week is recognized as National Payroll Week in Canada. It is a time to acknowledge payroll and benefit professionals for their diligent work. In Hastings and Prince Edward District School Board, we count on the Payroll and Benefits Services Team to ensure our pay is deposited on schedule and our benefits are administered proficiently. In addition, our payroll professionals support employee well-being through communicating and responding to inquiries. Through their responsible and trustworthy approach, the Payroll and Benefits Services Team demonstrates integrity, professionalism and reliability. Please join in celebrating the Payroll and Benefits Services Team, National Payroll Week. September 7, 2017 — Each month, school newsletters include a one-page insert called Home-School Connections. It describes ways in which families can enhance student achievement and well-being. Move more… Lots of good things happen when kids move. Encourage children to ‘Run. Jump. Play. Every day.’ View more resources on the Healthy Kids Community website. Think clearly… Believe In Yourself, It Changes What You Can Do! (Pdf). Homework Help is online math help for Grade 7-10. The Homework Help website offers access to free, real-time one-on-one tutoring with an Ontario certified teacher. Sleep well… It is recommended that school-age children get from 9 to 11 hours of sleep each night. Visit aboutkidshealth.ca for more tips and information wellbeing. Stop, Breathe & Think Kids – Meditation and mindfulness is easy and fun for kids to help them fall asleep, calm down or resolve conflicts. Eat better… Food for Learning provides food for local children each year in the form of balanced breakfast, healthy snack, or nutritious lunch. Partnerships with Hastings and Prince Edward Public Health are encouraging families to Choose to Boost Veggies and Fruit through their community challenge. August 30, 2017 — As families prepare for back to school, it is a good time to provide an update about student transportation. Providing safe, secure, on-time and cost-effective student transportation is the goal of Tri-Board Student Transportation Services Inc. Tri-Board provides transportation services to students of Hastings and Prince Edward District School Board and other school boards. Students may be eligible for transportation (busing) to and from school within the allowable limits defined by Hastings and Prince Edward District School Board. *The distances may be adjusted for hazardous conditions or for students with special needs. Please be aware that transportation is not automatically provided to students who attend optional programs—for example the Arts Program, Destinations, French Immersion, or International Baccalaureate—and who live outside the boundary area for the host school. However, if surplus space is available on existing bus routes, students attending optional programs may be able to access transportation as courtesy riders. The number and types of buses and routes are reviewed annually due to ridership and route modifications in order to ensure an effective and sustainable student transportation system. Changes occur from year to year, which affect the amount of space available for courtesy riders. Families can use an online look-up feature on the Tri-Board website to check for transportation eligibility. Go to www.triboard.ca > hover over the Eligibility menu item > click Transportation Eligibility Search > key in the information requested. Families can also check pick-up and drop-off times for their child on the Tri-Board website by scrolling to the Student Transportation Information at the bottom of the page. For security purposes, you are required to provide the child’s Ontario Education Number (OEN), birth date, school and grade. August 1, 2017 — We are looking forward to welcoming students and staff back to school on Tuesday, September 5, 2017. Please contact your home school to arrange a convenient time to register your child. Elementary schools will be open during the week of August 28, 2017. Secondary schools will be open for new registrations on specific dates at the end of August (scroll down to the page to see Secondary school registration dates). Bayside Secondary School – Tuesday, August 29 and Wednesday, August 30 from 9:00 a.m. – 3:00 p.m.
Centennial Secondary School – Tuesday, August 29 and Wednesday, August 30 from 9:00 a.m. – 3:00 p.m.
Centre Hastings Secondary School – Tuesday, August 29 from 9:00 a.m. – 3:00 p.m.
Moira Secondary School – Monday, August 28 from 11:00 a.m. – 4:30 p.m. and Tuesday, August 29 from 8:30 a.m. – 3:30 p.m.
Grade 9 Orientation will be Wednesday, August 30 from 10:00 a.m. – 1:00 p.m.
North Hastings High School – Monday, August 28 and Tuesday, August 29 from 8:00 a.m. – 2:30 p.m. Prince Edward Collegiate Institute – Tuesday, August 29 from 9:00 a.m. – 3:00 p.m. and Wednesday, August 30 from 1:00 – 3:00 p.m.
Grade 9 Orientation will be Wednesday, August 30 from 9:00 – 11:00 a.m.
Grade 7/8 Orientation will be Wednesday, August 30 from 1:00 – 2:00 p.m.
Quinte Secondary School – Tuesday, August 29 and Wednesday, August 30 from 9:00 a.m. – 3:00 p.m.
Trenton High School – Tuesday, August 29 from 12:00 – 5:00 p.m. and Wednesday, August 30 from 9:00 a.m. – 3:00 p.m. Please note: If your child is already registered for a school bus for 2017-2018, pick up/drop off locations and times will be available on the Tri-Board website beginning Monday, August 21, 2017. Have your child’s OEN (Ontario Education Number) and birth date handy. July 20, 2017—Part of our work at Hastings and Prince Edward District School Board is to explore opportunities for community planning and facility partnerships with community partners. Public meetings are scheduled in August for municipal/community partners/others to learn about the potential for sharing space in HPEDSB schools. Two meetings are scheduled, where the same information will be presented. Please RSVP online at http://bit.ly/HPEmeeting by Monday, August 21, 2017. These meetings are for the public or potential partners to identify themselves for consideration as possible future tenants in facility partnership arrangements, such as in existing schools which have surplus space, in vacant/closed schools, or as part of future school closure processes. 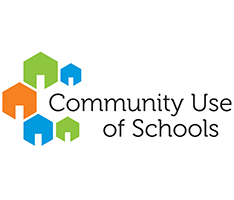 Ontario school boards are required to have community planning and partnership policies/procedures in place to align with the Ministry of Education Community Planning and Partnerships Guideline (Pdf). The HPEDSB document is Procedure 570: Community Planning and Partnerships (Pdf). Prior to the meeting, you are encouraged to review the list of schools. June 29, 2017—Schools and the Education Centre operate on summer hours for July and August, as noted below. Elementary schools: closed from July 4 to August 25, 2017. NOTE: Transcripts are created at the secondary school a student attended. They cannot be produced when the school is closed nor at any other location. Front office closed between July 17 and August 11. Signs will direct people to the Student Centre for assistance. Open Monday to Thursday, 8:00 a.m. to 4:30 p.m.
Closed to the public on Fridays, beginning Friday, July 7 through to Friday, August 25, inclusive. Closed to the public during a 2-week shut-down period beginning Monday, July 24 through to Friday, August 4, inclusive. We will re-open to the public on Tuesday, August 8. May 31, 2017 – The following dates have been approved by Board members of Hastings and Prince Edward District School Board and confirmed by the Ministry of Education for the 2017-2018 school year. PLEASE NOTE: printed copies of the school year calendar will go home with students during the first week of school in September 2017. HPEDSB is hosting a second Google Summit. This two-day high-intensity event focuses on deploying, integrating, and using Google Apps for Education (and other Google tools) to promote student learning in K-12 and higher education. 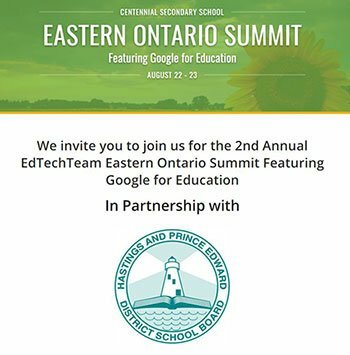 May 2017—HPEDSB is once again hosting the Eastern Ontario Google Apps for Education Summit. Educators from local school boards and across the province are invited to attend this two-day high-intensity event about deploying, integrating and using Google Apps for Education (and other Google tools) to promote student learning in K-12 and higher education. This professional learning opportunity is suited for all elementary and secondary educators. At HPEDSB, system-wide access to Google Apps for Education has been available since 2014. The summit will support the continued integration and use of Google Apps for Education by educators and students across the system. All presenters are Google for Education Certified Innovators, Google for Education Certified Trainers, Google Employees, or teachers with local success stories. Hastings and Prince Edward District School Board has partnered with EdTech, a professional development company that hosts summits across the world, to host this event. During the two-day conference, K-12 educators will gather to enhance their professional skills and knowledge to advance student learning in the classroom. Participants can expect to learn practical and effective strategies for enhancing and differentiating their instructional practices, while addressing immediate issues impacting instruction, such as using technology to enhance instruction, aligning standards, and engaging all learners. The conference offers both practical and effective strategies for enhancing and differentiating classroom instruction, including effective technology integration and engaging learners. Capital Planning Bulletin #9: Decisions have been made, now what? June 20, 2017—The accommodation review processes in Belleville, Madoc and Prince Edward County have come to conclusion. No other accommodation reviews are underway at this time. 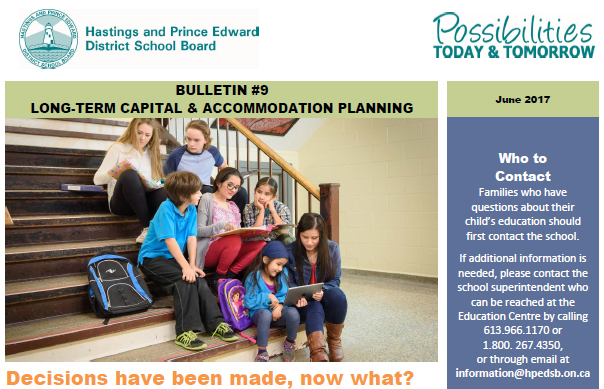 The attached bulletin (Pdf) is a summary of the final decisions and describes school closures/consolidations for September 2017 and 2018. Across Canada, National Aboriginal Day is recognized annually on June 21. This date was chosen because of the cultural significance of the summer solstice, the first day of summer and longest day of the year, and because many Indigenous communities mark this day as a time to celebrate their heritage. Setting aside a day to acknowledge National Aboriginal Day is part of the wider recognition of the founding place of Indigenous peoples within the fabric of Canada. The 2015-2020 Strategic Plan includes Achieving Excellence & Equity as a priority, with a supporting goal to provide programs and services to help each student achieve success. Providing students with opportunities to gain knowledge and understanding of First Nation, Métis and Inuit culture, tradition and perspectives are part of the Pathways goal in the Board Improvement Plan for Student Achievement and Well-Being (BIPSAW). At HPEDSB, we are committed to supporting educators and students to address social justice and reconciliation for students for the possibility of today & tomorrow. Please join in recognizing National Aboriginal Day on Wednesday, June 21, 2017. June 9, 2017—A community information meeting to share information about the addition and renovations at Marmora Senior Public School is scheduled. June 6, 2017—Hastings Prince Edward Public Health has confirmediIllicit fentanyl, a highly potent opioid in our area. Illicit fentanyl is known to be deadly in small amounts, making the risk of overdosing extremely high. Opioid information sessions will be held to provide more information about how to keep children in our community safe. May 30, 2017 – Each month, school newsletters include a one-page insert called Home-School Connections. It describes ways in which families can enhance student learning at home in the areas of literacy; numeracy; healthy, caring schools and improving student learning. Literacy: Reading allows students to learn about fiction and nonfiction stories, life lessons as well as history. Books are geared towards specific grades level and age ranges. Literate learners use skills of thinking, expressing and reflecting to listen, speak, read and write. May 25, 2017—The Ministry of Education has secured a team of researchers who will engage with students, parents/guardians and families, teaching and non-teaching staff, Indigenous communities, organizations and partners, and school boards to gather feedback and input to inform the development of the Third Progress Report on the implementation of the First Nations, Métis and Inuit Education Policy Framework. As part of the data collection process, feedback will be collected through an online survey and online focus groups. The survey is intended to capture the successes and help to identify promising practices and opportunities to provide further support to enhance the achievement and well-being of Indigenous students. We will respect the data sharing protocols of the school boards, the Ministry of Education, and First Nation, Métis and Inuit communities and organizations. The information received will be combined anonymously in a report that will be used to inform the development of the Third Progress Report. In addition to the online survey, students, parents/guardians and families, teaching and non-teaching staff, and Indigenous communities, organizations and partners are invited to participate in a series online focus groups for to share their perspectives. The online focus groups will be conducted at various times and dates. Interested persons should RSVP to third progressreport@gmail.com. Spaces are limited to 10-12 people per session on a first come, first served basis. Questions regarding the process of engagement and data collection to inform the development of the Third Progress Report should be sent directly to Jennifer Feasby, Manager Education Policy and Programs Unit (Jennifer.Feasby@ontario.ca). 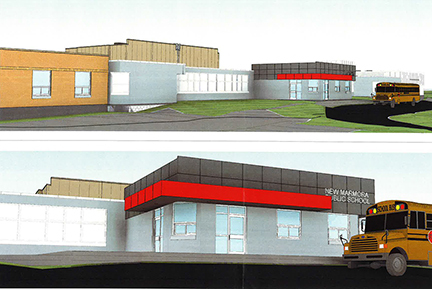 May 24, 2017—Construction of the addition and renovations at Marmora Senior Public School will begin in June now that a construction tender was recently awarded. Board members approved a $4.5 million contract for Garritano Brothers Ltd. to do the work. “With the tender approved, the contractor is preparing to start work on this project. In the coming weeks they will get fencing up and have the equipment on-site. We’re excited to be at this point of the project,” said Nick Pfeiffer, Superintendent of Business Services. These artist concept drawings show the new front entrance and bus loop. The consolidated school will bring together students from Earl Prentice Public School (presently JK to Grade 3) and Marmora Senior Public School (presently Grade 4 to 8) on the Marmora Senior site. “This is another project to improve learning environments for HPEDSB students. Schools in other HPEDSB communities have had large-scale renovations done in recent years. It’s good news to see a modern learning facility coming to Marmora for the benefit of students, families and the community,” added Pfeiffer. We are planning a two-phase approach to moving in. Marmora Senior Public School will remain Grade 4 to 8. Students who normally go to Marmora Senior will go there in September, as usual. Earl Prentice will remain JK to Grade 3. Students who normally go to Earl Prentice will go there in September, as usual. It is anticipated that Earl Prentice students will move to the renovated Marmora school in March 2018. We are committed to ensuring that the renovated school is completed and fully ready to welcome all students. Renovations to the main office and mechanical systems will be completed over the summer to be ready for September. The addition and other renovations will be completed for March 2018. Funding for this project resulted from a capital priority business case submitted to the Ministry of Education in the summer of 2015, with funding announced in November of that year. The community is invited to vote on a name (webpage) for the consolidated Marmora elementary school. Voting closes Wednesday, May 31, 2017. These names were short-listed through a first round of community input. Several submissions involved connections to water or the village of Marmora. Crowe Lake and Crowe River, which are encompassed by Crowe Valley, are close to Marmora Senior PS and are a significant part of the community. A community information meeting to show floor plans and answer questions regarding the project and plan for students will be scheduled in the coming weeks. Updates will be provided as they become available. This update provides a summary of the public meeting of Hastings and Prince Edward District School Board held Monday, May 23, 2017 at the Education Centre. It is an unofficial summary of the meeting; official minutes will be approved at the next meeting in June 2017. The month of May is recognized as Speech and Hearing Month in Canada. It is a time to recognize the importance of communication health. The 2015-2020 Strategic Plan includes priorities to provide programs and services to help each student achieve success, and to create welcoming, inclusive and accepting learning environments. We do this through our belief that all students can learn and become globally minded learners and leaders. According to Speech-Language and AudiologyJoin in recognizing Speech & Hearing Month Canada, the focus is “. . . to raise awareness about communication health and the critical role communication health professionals play in assessing and treating communication disorders. This year’s theme is Speak Well. Hear Well. Live Well. Early intervention and treatment of communication challenges is vital. At HPEDSB, students with speech and language needs are receiving focused support through the work of our speech language pathologists, teachers, educational assistants and early childhood educators, as well as community partners. May 18, 2017—Congratulations to Sheryl Parker and Susie Sewell-Charles, teachers at Queen Victoria School in Belleville. They were awarded a Certificate of Achievement through the Prime Minister’s Awards for Teaching Excellence. 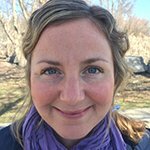 Parker and Sewell-Charles team-teach the multi-grade, child-centred Adventure Class (Grades 1-6) that delivers the Ontario curriculum through experiential-based learning. The program relies heavily on the involvement of families and older students helping younger students. Community outings, and a culture of fun and belonging emerge from the use of a learning cycle that urges students to observe, plan act and reflect. “It is an honour for Sheryl and Susie to receive this prestigious award. They are a dynamic teaching team who are committed to teaching and learning, and who are invested in each and every student in their classroom,” said Mandy Savery-Whiteway, Director of Education. According to the nomination, Parker was a co-founder of Project Achieve, an anti-poverty initiative funded by the Ministry of Education and the Elementary Teachers’ Federation to dissipate myths and stereotypes surrounding poverty in schools. Parker and Sewell-Charles had their students build a Giving Tree where they hung bags of hats, mitts and socks, as well as a sign inviting people to take what they need. “When someone takes the time to recognize you for your life’s work it is a true honour. I would like to thank all those involved in putting our names forward for this award. This recognition, although given to Susie and myself, is for the team it takes to make meaningful education possible,” said Sheryl Parker. “I am deeply honoured to receive this recognition. I feel very lucky to be able to work with an amazing staff and wonderful parent community to bring learning to life in a unique way for our students. It is a privilege to be part of educating the future citizens of our country!” said Susie Sewell-Charles. The Prime Minister’s Awards for Teaching Excellence have honoured exceptional elementary and secondary school teachers in all disciplines since 1993, with over 1,500 teachers honoured to date. Recipients are honoured for their remarkable achievements in education and for their commitment to preparing their students for a digital and innovation-based economy. Up to 10 Certificates of Excellence (national level) are awarded annually, each including a financial award of $5,000. Certificates of Excellence are awarded to the 10 top-ranked nominees. Up to 25 Certificates of Achievement (regional level) are awarded annually, each including a financial award of $1,000. Certificates of Achievement are awarded to the next top-ranked nominees. May 18, 2017—A new date has been scheduled for the Student Enrolment/School Capacity Committee to meet to prepare the final recommendation for the Centre Hastings accommodation review. The new date is Monday, June 12, rescheduled from Tuesday, May 23. June 12 was already scheduled for final recommendations for the Belleville and Prince Edward County accommodation reviews. This change is being made to allow recommendations for all three areas to be prepared on the same day. It should be noted that the required accommodation review timeline allows for the May 23rd meeting date to be later than May 23rd although not before. All other timelines remain the same (see below). The final decision by the Board of Trustees will be made on Monday, June 19. Thursday, May 25 at 6:30 p.m. The meeting purpose is to receive delegations about the final staff recommendation for Prince Edward County schools. Monday, May 29 at 6:30 p.m. The meeting purpose is to receive delegations about the final staff recommendation for Belleville schools. Monday, June 12 at 2:00 to 5:00 p.m. The meeting purpose is to prepare the final recommendations for the Belleville, Centre Hastings and Prince Edward County schools. Tuesday, May 23 at 7:00 p.m. The meeting purpose is to present the Great Place Awards and to conduct normal Board business. Monday, June 19 at 7:00 p.m. The meeting purpose is to make a decision on the final recommendations for the three accommodation review areas. All meetings are public and take place at the Education Centre, 156 Ann Street, Belleville. May 16, 2017—Congratulations to Great Place Awards recipients who contribute to student achievement and well-being, and who are held in high esteem through their demonstration of the Growing with Character core values. The Great Place Awards are the highest recognition within Hastings and Prince Edward District School Board. These prestigious awards recognize outstanding contributions by students, employees, parents and guardians, and community partners. The Great Place Awards Committee received 37 nominations representing employees, volunteers, students and community partners. The nomination criteria aligns with the Board’s eight Growing with Character core values: caring, cooperation, honesty, humour, integrity, respect, responsibility and trustworthiness. May 10, 2017—Netflix recently released 13 Reasons Why, a series based on a novel by Jay Asher. The series depicts the story of a high school student who dies by suicide, leaving behind 13 cassette recordings that share the events that she perceives led to her death. The series is graphic and sensationalizes the act of suicide, which may lead to vulnerable students misinterpreting its message. We want to let families know that we will continue to do everything we can to support student mental health and well-being needs. As students raise questions about the series, staff will address the content in ways that are sensitive and appropriate, especially with our most vulnerable students. You may wish to ask your child if they have heard of or seen this series. Please refer to the attached letter and FAQs for more information (Pdf). May 11, 2017—Graduation rate is a key indicator of student success. The current data indicates an increase in the number of students who graduated in 2016 compared to 2015. For Hastings and Prince Edward District School Board, the five-year rate for students who graduated in June 2016 was 76.2% which is an increase of 1.5 percentage points from 2015. Of the 1,235 students enrolled in Grade 9 starting in 2011‐2012, 918 graduated within five years. The rate for students who graduated within four years in June 2016 was 70.1%, which is an increase of 4.6 percentage points from 2015. The provincial graduation rate for students who stayed in secondary school for five years was 86.5% and for four years was 79.6%. These graduation rates are calculated based on a cohort (group) of students who entered Grade 9 together in 2011-2012 and graduated with an Ontario Secondary School Diploma (OSSD) by 2015-2016. The rates take into account all students who began their Grade 9 year in HPEDSB. They also include students who moved to another school district in Ontario to continue their schooling, and students who no longer attended school for one reason or another. Students who moved out of province, before graduation are not included in the rate. We are committed to student achievement and well‐being. A priority in the 2015‐2020 strategic plan is Achieving Excellence & Equity which includes a goal to increase graduation rates and reduce achievement gaps for students not yet at the provincial standard. Increasing graduation rates and reducing achievement gaps for students not yet at the provincial standard are priorities in our 2015-2020 strategic plan. Student Success teams in schools regularly monitor graduation requirements through data reports that highlight students who are in risk due to credit shortages. Based on student needs, action plans to address gaps are initiated. We believe all graduates can be globally minded learners and leaders. We set conditions for students to develop competencies that support all students to be successful, contributing citizens in their communities. All are welcome to attend the 10th Annual Student Benefit Auction. Tickets are $20. Proceeds to Food for Learning to support nutrition programs in schools. 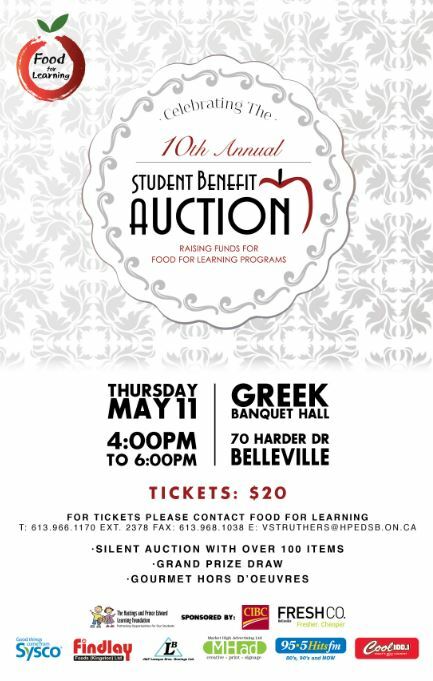 May 3, 2107—Food for Learning is preparing to host the 10th Annual Student Benefit Auction. nutrition programs throughout Hastings County and Prince Edward County. Many unique items will be available for auction. All proceeds from this event will be used to support nutrition programs, such as purchasing groceries, supplies and equipment needed to ensure that all students are attending school well fed and ready to learn.